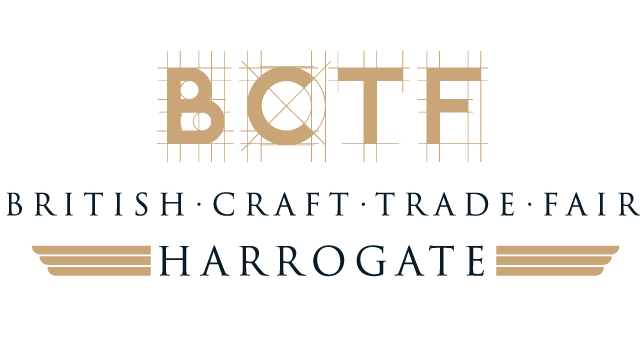 Courses are booked around your availability – call Helen on 07778 782467 to book your dates. Is it time for you to do something for you? Would you like to join our Fastrack Silver Keepsake Business Programme? Would you like to set yourself up in business, have your own income and work around your family? I can help you set up a Silver Keepsake Business using my experience in silver keepsakes so that you can FastTrack your business, setting up and starting in only a month! This is a great way to get all the benefits to fast track your business, get it started and running within a month. By the end of March you could have set up your own business and be looking forward to having your own money within weeks! You get all of the above courses as part of a programme and all of the bonuses. If you do the courses individually it costs £515, which is great value to set up a new business! I am offering the whole programme for £415!!! That’s a huge saving of £100 AND you’ll be in a position to get your business up and running by the end of March this year!! You will get an Additional Bonus 1:1 hour review and reminder session after the courses, to ask questions and iron out any problems. When you’ve had some practice there may be things you need a reminder on and review progress. Our additional 1:1 session will give you a valuable opportunity to do that. 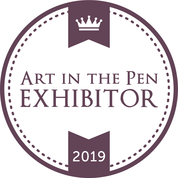 If you have any questions or would prefer other dates, please contact me, Helen on 07778 782467 or via email info@silver-stone jewellery.co.uk. 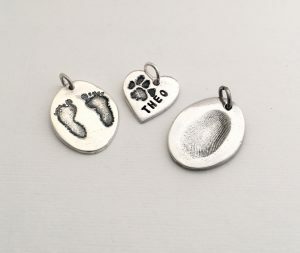 I can help you set up a Fastrack Silver Keepsake Business using my experience in silver keepsakes so that you can FastTrack your business, setting up and starting in only a month! Being self-employed is something I feel passionate about. Self-employment can give you the freedom to choose where you work, when you work and who you work with. It can give you freedom, independence and rewards. If you have young children conventional employment may not be an option. Huge childcare costs can be prohibitive, and the working for someone else at set times may not fit in with your family. I worked when my daughter was very young, and whilst my employers were very supportive, I didn’t want to leave her with childminders. I wanted to see all the stages she went through and all those wonderful milestones. I felt like I was constantly being torn between my work and my family. As a result I was very unhappy. Being self-employed has given me a balance. However it isn’t easy and it isn’t plain sailing. 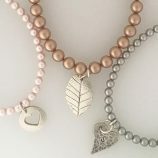 I’ve been in business for over 8 years and been in my jewellery business for 5 of those. Before that I advised businesses myself, working for Business Links throughout the country. As an entrepreneur you need to have a knowledge of lots of aspects of the business. Planning the business, marketing, technology, customer care, pricing, finance and accounts. There is a lot to learn, and you still want to be there for your family and have ‘you’ time. I want to share my experience of running a business to provide you with the skills and know how to set up a small business yourself. One that will fit around your family and your needs. 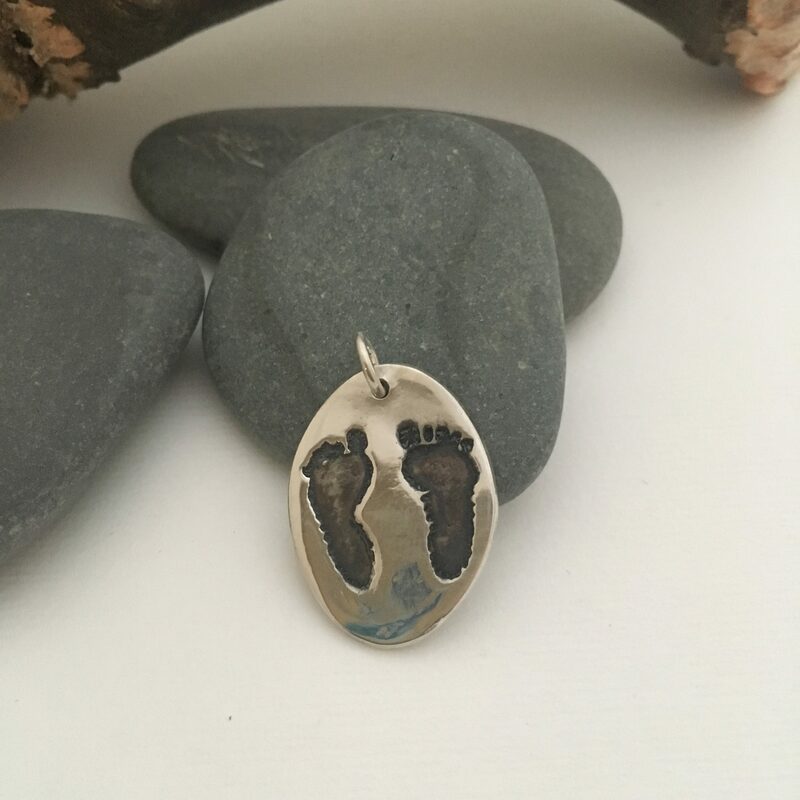 I started my jewellery business making silver keepsake jewellery – fingerprints and hand and footprints. I still do some of these, but I prefer to teach, and love to see people realise their creativity and potential. That’s the thing that gives me a buzz. I have a limited number of places available for people to join me on this Fastrack Silver Keepsake Business Programme to learn how to set up a Silver keepsake business. 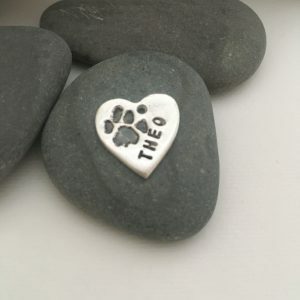 If you want to start your own fun and profitable, home-business making Silver Keepsake Jewellery, without the high start-up costs of a Franchise, then I’m here to help you! I have set up 3 modules to do this. How would you benefit from setting up a silver keepsake business? This is the practical and creative part, where you get stuck into creating things! 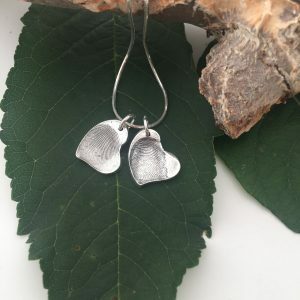 This Fingerprint Keepsake Jewellery Course will guide you through all the stages of how to make fingerprint jewellery, including; creating fingerprint charms, fingerprint cufflinks, fingerprint keyrings, fingerprint necklaces and a wide range of other beautiful fingerprint jewellery gifts and mementos. 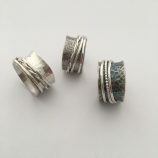 Learn how to create silver finger print jewellery. Learn about what tools and materials you need and where to buy from. Receive a step by step instruction manual. 32g of PMC included in the course. 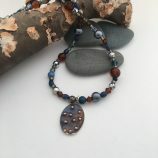 This course will take a day 10-4pm and will take place in our studio at Riccall Grange. As part of this programme you will get some wonderful bonuses. You will get 10% off all PMC kits and PMC. PMC is an expensive product so this is a mega saving! You will get a 20 minute review session to see how you are progressing after having a practice at home. During this course we will look at how to set up your business, step by step. This is the practical stuff that you need to know so that you can get on with it quickly. What to you need to set up in business – legalities? There will be lots of opportunity for questions and answers during the day. You will get a 20 minute review session to see how you are progressing within 2 weeks of the course. Introduction to a people who can provide advice on how to set up websites and help you design your brand and materials. 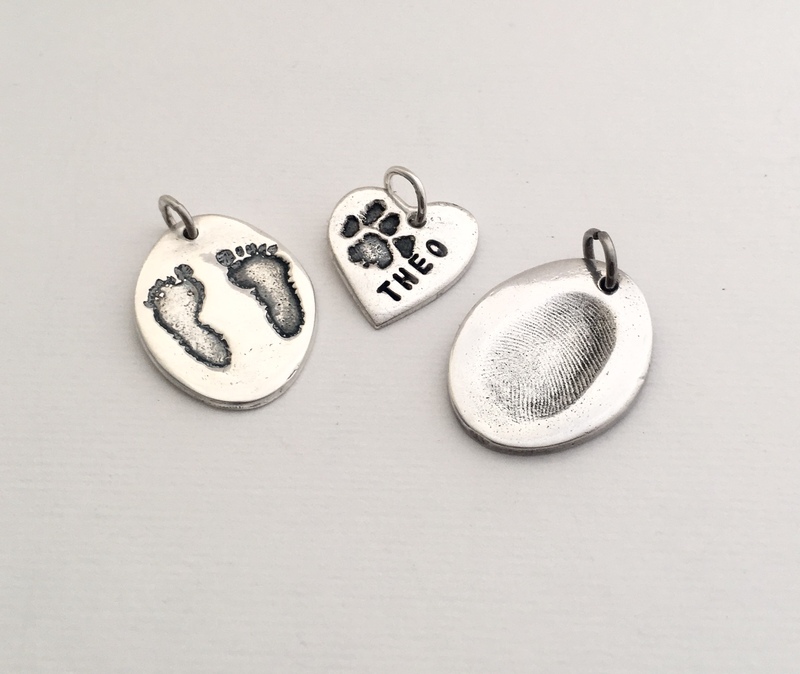 This is another creative module, learning how to take the hand and footprints and guide you through all the stages of working with PMC to produce stunning silver jewellery, featuring baby handprints, baby footprints and treasured children’s artwork. A step by step instruction manual. You will get a 30 minute review session to see how you are progressing after having a practice at home. You can complete the above courses as a package. By the end of August you could have set up your own business and be looking forward to having your own money within weeks! That’s a huge saving of £100 AND you’ll be in a position to get your business up and running by the end of August this year!! 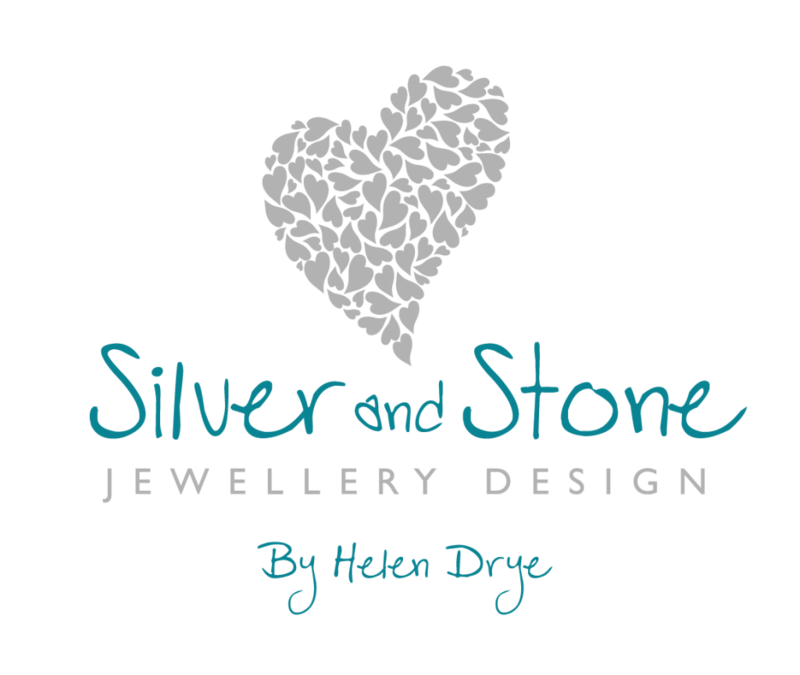 f you have any questions please contact me, Helen on 07778 782467 or via email info@silver-stone jewellery.co.uk.